If you have chosen not to buy a property before you emigrate the best thing to do is to arrange for a rental in advance. Unless you’re planning to travel around exploring your new country, having a rental before moving can be extremely beneficial. It will mean you feel settled much earlier and will also give you a base immediately, helping with official papers and with keeping in touch with friends and family in the UK. It can be difficult to know where to begin when you’re looking to rent a property in a new country. For many, the struggle to find exactly what you need can be filled with pitfalls and problems. In order to successfully know where to begin, it’s important to learn the best places to look for rentals. Generally, the largest selection of rentals available to view outside of your new country can be found online. There are a variety of rental and sales companies online who specialise in properties, however try not to use a company directly until you’ve already scanned some other more general websites. Websites that aren’t going to profit from your business are the best places to start as they give you a bigger choice and are more honest about the properties. Once you’ve looked through sites, you should hopefully have educated yourself on certain areas and obtained an idea of rental rates. From here, you can either contact the property owners direct through the site, or contact the agents. If you’re still living in the UK when you’re contacting real estate agents, you may be at a disadvantage compared to local people. In this instance, you have to show your commitment and your financial ability to pay for a rental up front. Just as in the UK, real estate agents are looking for trustworthy tenants who will pay on time, respect the property they live in and who preferably have previous references as renters. If you are able to provide all of these to a real estate agent, they may be more likely to consider you as a possible tenant for a rental. In many countries, the rental market can be very competitive and many individuals are fighting over each property. The real estate agents who deal with rentals are working for the property owners, so if possible, get them to send you as much information on the property as they can. Ask for photos of every room, information on the area and whether there are other rentals available locally. When looking for a rental, always ensure that you are very particular about your needs. Write a list of all the amenities that you expect your rental to have and look closely at the area. It’s important to rent in an area near your work, near schools if you have children or near family and friends. Once you’ve worked out an area ensure that you’re very organised with the small details. Letting an agent know exactly what you want can save a huge amount of time, especially when you’re busy organising other things for moving. If you have a pet, you must check that the landlord will allow them. Many won’t welcome pets and if they do accept pets, they will normally require them to be under a certain size. Once you find the home of your dreams, many people will put their heart and soul into securing it as a rental. You will need to apply to the real estate agency along with many others and it then comes down to the landlord choosing which applicant they believe is most suited to their property. To ensure you don’t loose out on the rental, you must transfer money over from the UK. Normally you will be asked for one months deposit in advance and a bond. The bond will be returned to you at the end of your tenancy assuming that everything is as it was when you first rented the property. 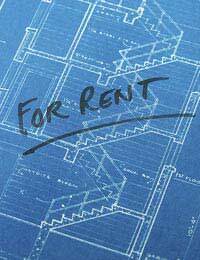 If you’re renting for the long-term, you’ll pay less normally than renting for the short-term. Remember to check your contracts thoroughly before signing them as many will contain clauses that work in favour of the landlord rather than the tenant. Ensure you will be able to get access to the property as soon as you arrive. Short Term Rentals or Long Term Rentals?